Delicate Monsters is a very interesting, eerie, bizarre, dark story exploring themes of Necrophilia, death and mental health. The setting takes place mostly at school. It follows 3 main characters, Sadie Su, Emerson Tate and his younger brother Miles Tate. They all have strange behaviours and are different in their own ways. Sadie doesn’t seem “normal”, she is a mischievous, disobedient , Cruel teenager. She likes to mess with people and seems not to care about anyone’s feelings. She nearly killed someone at her last school, so she has to attend a public school. The next Character is Emerson Tate. He is Sadie’s classmate but dosent really like her because of how cruel she is. He just wants to have a good school year, playing sports and fall in love with the girl of his dreams, but what happens is the opposite of what he wanted. he has a secret, he is attracted to dead animals/things. His life is actually completely stressful and frustrating when everyday he has to deal with the death of his dad and how it negatively affects his Mom, and his younger Brother who always gets hurt and goes missing. 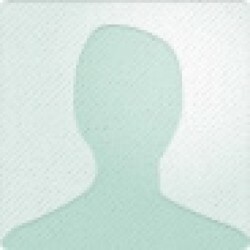 The last main character is Miles Tate who is Emerson’s younger brother. Miles has physic visions, he is very mentally unstable, his visions makes him very sick, but his family dosent understand why. 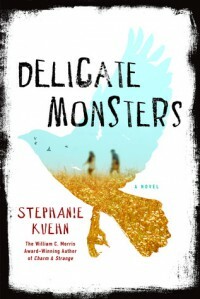 Delicate Monsters follows the lives of these 3 troubled teens, and it is safe to say they all have mental illness or social issues in their life. What I liked about the book, was how each character connected with each other in different ways. I liked how the author was not scared to “cross the line” by going into graphic details and saying exactly what the character is thinking even if it’s really bad, showing there true personality. I think the ideas in the book are nicely transitioned by having one page with a quote on it for each part of the book. What I didn’t like about the book was that each chapter is told from 3 points of view, and you have to read 2 more chapters to get to the same character which can be hard to follow and remember what happened from character to character. I like the endings of book and movies to be a happy ending or easy to understand, so I do not like the ending of Delicate Monsters because it does not have a clear ending of what really happened, you have to understand it for yourself. Overall, I would give the book 4/5 stars, I like the themes in the story, and how all the foreshadowing and symbols earlier On in the book connects at the end, deeper and deeper you get into the book the more the characters all start to discover dark truths and secrets about themselves. this book shows a dark side to human nature, I would definitely recommend this book to people who like reading twisted and weird stories, that show a dark personality to human nature.